Soulard is enjoying quite the boom as late with new businesses opening all across the neighborhood. Henry's recently opened in the renovated former home of The Shanti. Woodie's recently opened in the Soulard Library building. Twisted Ranch garnered an incredible amount of press when they announced their plans to open in the former Sassy Jac's space. Shelly's has been tirelessly working on the former Clementine's spot whille Fleur De Lilies is targeting a June opening. A Tropical Liquers franchise is also set to take the former Gladstone's space at the corner of Soulard and 10th. While all of these are a labor of love, a project at the corner of 13th and Lynch carries a special story. Longtime Soulard resident Judith Howard is spearheading the renovation of the former Hi-Way Bar location into an establishment that's "for the neighbors, by the neighbors". Howards will feature live acoustic music 5 nights a week and has a Grand Opening planned for the weekend for May 8-10. The discussions that eventually led to this project began in the home shared by Judith and her wife, Molly Jankowski. The beautiful home the pair share is just the latest home in the Soulard neighborhood that Judith has restored. Our beautiful island owes its existence to those that have rehabbed the homes in this neighborhood. Judith caught the rehab bug from her father, USN Capt. Ronald C. Howard. The teacher thought it was time he and his protegee took on a rehab project together in Soulard. Sadly, Capt. Howard passed before the project was able to take shape. The fire that Capt. Howard lit in his daughter burned brighter than ever after his passing. It was stoked by the encouragement of those close to her. By the time her mother decided to join her daughter in Soulard, that fire was hotter than one of her guitar riffs. She set her sights on a vacant, run-down building originally built in 1888. The building at the corner of 13th and Lynch most recently housed the Hi-Way Bar, although it was originally built as a pharmacy. In between, the building housed a shoe store, an income tax office and a whiskey bar. For a time the building was even home to a bail bonds business. The location was mighty convenient considering during the time the local police station was housed in what is now Mad Art Gallery. The Hi-Way Bar occupied the building for 40 years, closing in 2009 after winning the Best Place to Play Table Shuffleboard from the Riverfront Times in 2009. That award may be a bit misleading, however. The bar was described as "Soulard's most dive-y dive bar". That's not a bad thing by any means. Longtime residents still speak with fondness about the bar, it's camaraderie, cheap drinks and the cat that meandered around. The bar was mentioned several times in David Lester's book, The Lunatic of Soulard. 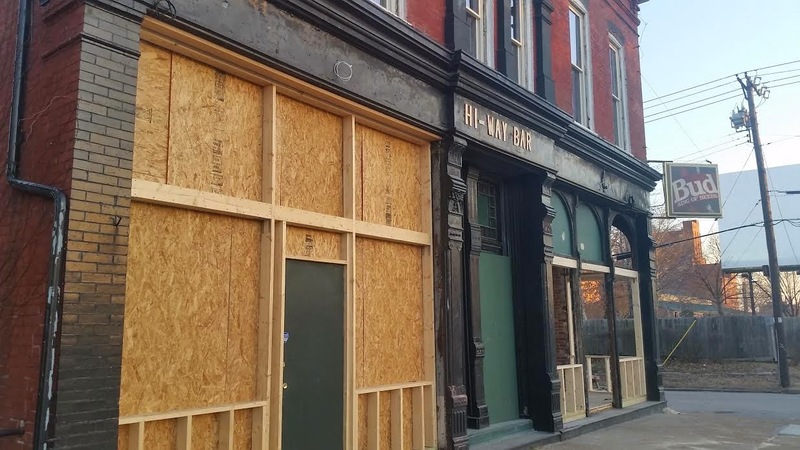 While the Hi-Way Bar served its purpose, Howards will be a welcome sight in Soulard. Judith and her team are completely renovating the building from "to the studs", as they say. Outside of the building, new utility lines are being run to handle the needs of the establishment, which will include a kitchen. The backyard will feature a full patio for plenty of seating as well as plenty of "golf cart parking". Over the years the building at 2732 S 13th various levels of construction with each of its different uses. The entrance to the building that Howard wanted restored features a doorway that is quite a bit larger than normal. A door to fit those dimensions was found in a rather unlikely spot, Judith's own basement. Many of the rehabbers in Soulard have worked on multiple projects in the neighborhood throughout the years. It turns out that this particular door was likely taken off during a renovation of the building. The door somehow ended up in a pile on construction materials that is sitting in the basement of Judith's current home. A focal point of the inside of Howards will be a stage large enough to fit a three-piece band. One instrument will be a permanent fixture in the room. Ruth Ann Howard, Judith's mother, is a retired piano teacher and soprano opera singer. The piano that moved with her when she came to Soulard, the acoustic piano that Judith and countless others have learned on, will get prime billing at the new establishment. The piano won't be the only thing getting prime billing at Howards, of course. The logo that you see above, "The Captain", was actually designed by Capt. Howard in 1962 and used for years as his letterhead. Aside from Mom Howard's piano, an 8-foot fountain will be prominently featured in the backyard area in her honor. The front entrance to the restaurant will be completely catered to those folks in wheelchairs. Howard stressed in a neighborhood forum that this was an important point for her. Another important point for Judith Howard at Howards will be the entertainment. 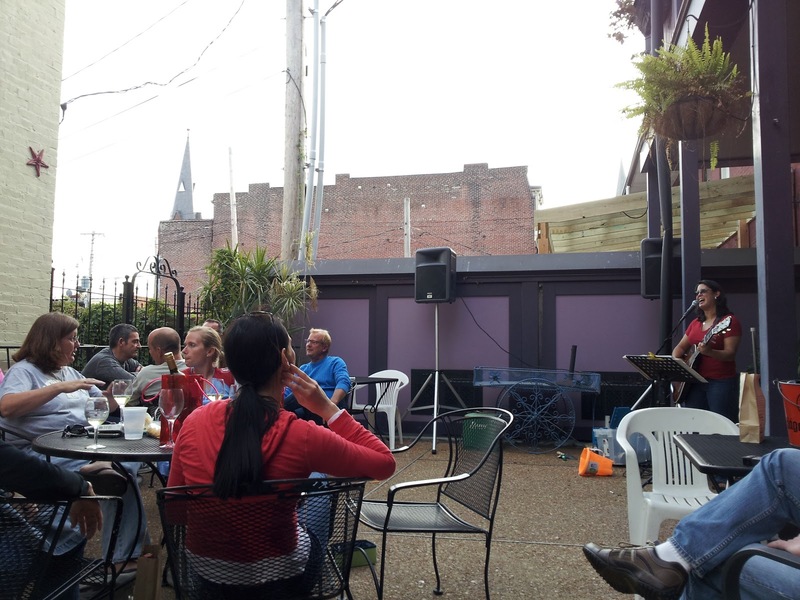 If you've been in Soulard a Summer or two you've likely seen Judith playing her guitar for groups of neighbors on various patios throughout the neighborhood. While Judith won't have a regular gig on stage, many neighbors are hopeful that if enough people ask nicely enough, she will play from time to time. Howard has a full lineup of acts scheduled for May 8-10, including Zero Friction, Steve Reebs, The Alley Mutts and The Darrells. Her plan calls for the musical lineup to be set each month in advance. Howards shirts will be available for sale each month that feature the lineup on the back on the shirt. A portion of the proceeds each month will go to a local charity. Live music will be on the bill Tuesdays, Thursdays, Fridays, Saturdays and Sundays at Howards. Aside from the absence of smoke, Howards will feature another aspect the Hi-Way Bar never had, a food menu that includes more than just frozen pizzas. Howard's original plan called for a simple menu featuring mostly small plates to pair with its beer, wine and "classic cocktails reinvented" drink menu. That approach took a turn when the closing of the well-regarded Benton Park restaurant Luvy Duvy's Cafe closed in March. Howard's will serve from the Luvy Duvy's menu of mainstays for lunch and former owners Jackie Seal and Cassady Caldwell will consult in the kitchen. The simple menu was well-regarded among the patrons. 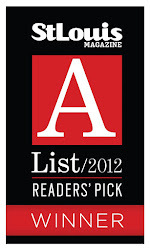 Favorites included the cafe's takes on the classic rueben and cuban sandwiches. Howard's will also look to serve brunch on Saturdays and Sundays, although those might not be available when the restaurant first opens. A separate small plate menu will be available in the evenings. Howards in Soulard will be an excellent addition to Soulard not just in its physical presence, but also in the story it is built on. 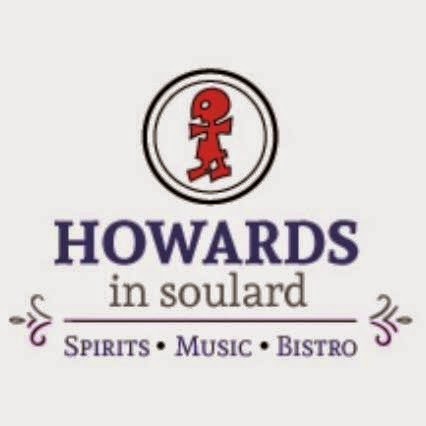 Be sure to follow Howards in Soulard on Facebook to get a look at the construction progress as well as to stay up-to-date on the upcoming opening events.